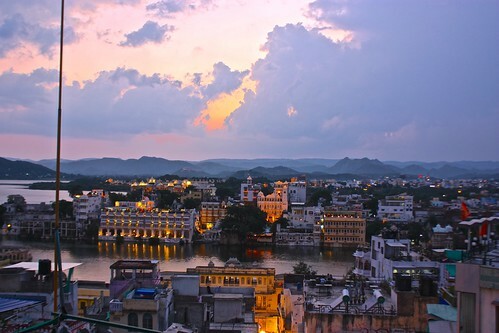 There's less to see in Udaipur than most other tourist towns in Rajhasthan, but that only adds to its charms, especially when you consider the views. Imagine deep-set mountains surrounding a still lake that at night twinkles with the reflection of palace lights--that's Udaipur! 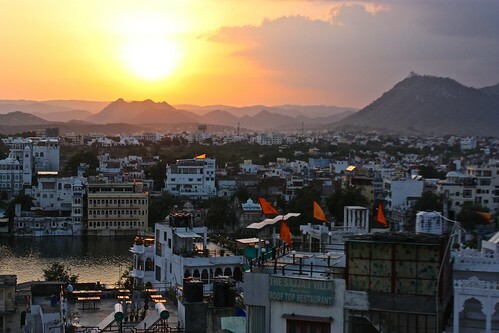 You can easily spend a day or two just walking around town, peering in the different shops, and enjoying the views over Lake Pichola. The locals in Udaipur hassle you a lot less than other parts of India, so walking around town is actually a pleasant experience, though we did see some homeless dogs that looked deeply in need of care. The quintessential Udaipur experience is a boat ride on Lake Pichola, preferably in the hour before sunset. You can hire a boat in the City Palace Complex, but it's pricey, at almost US$10 per person. Alternatively, you can arrange a boat by Lal Ghat, which costs 200INR per person. You won't be able to stop at Jag Mandir, since it's part of the City Palace, but you'll get the same views everywhere else. If you really need to do something during your vacation, consider spending a morning wandering around the City Palace (115INR), with rooms colorful enough to give you a major headache. 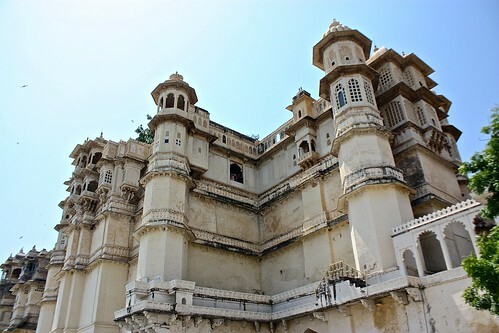 Though not as impressive as the palaces in Fatehpur Sikri and Jaipur, the City Palace complex does give you a taste of Udaipur's former glory. Build in time for a quick stop at the busy Jagdish Temple, which is constantly pulsing with prayers, chanting, and musical instruments. 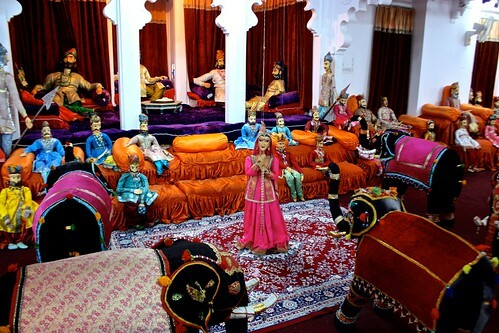 If you haven't had your fill of Indian mansions, visit Bagore Ki-Haveli (30INR) by Gangaur Ghat. Though the outside isn't as stunning as the havelis in Jaisalmer, the inside offers a unique glimpse into the former lives of Udaipur's rich. Check out the hookah pipes, the "bath," and the game room. Right outside of town, the Garden of Maidens (Sahelion-Ki Bari) has some nice fountains and decent landscaping, making for a nice break from the afternoon sun. Ask the rickshaw driver to stop at Fateh Sagar Lake on the way back into town for more views of the mountains and the cliff-top "Monsoon Palace." We had a nice stay at Udai Niwas Hotel, which offered us a triple room (mom's mattress was on a windowsill-like platform) in an awesome location. With both sunrise and sunset views from the hotel's rooftop terrace, we felt that the price at 1400INR was well worth it. In general, hotels in Udaipur are more expensive than the rest of India, so do your research and try to find a few decent options ahead of time. 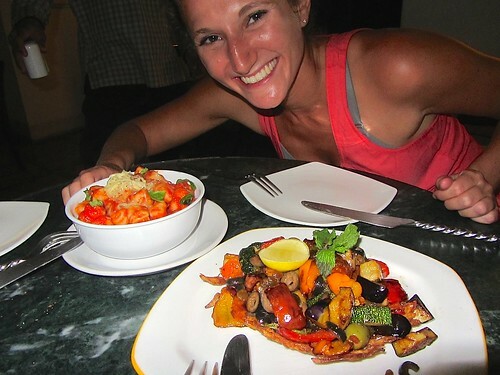 Udaipur has a dizzying amount of restaurants, though most serve the same mix of Indian and "continental" cuisine. 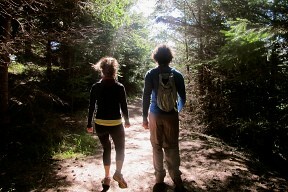 Try to end up somewhere with a view around sunset. The restaurant at our hotel boasted great views! Cafe Edelweiss, at street level, serves an awesome Arabic coffee, great baked goods, and well-priced breakfasts. We preferred it over the breakfast at the hotel. Savage Garden continued our Mediterranean kick and upped the ante by having babaganoush on the menu. The homemade pasta was a nice change of pace as well, though the restaurant has no views. 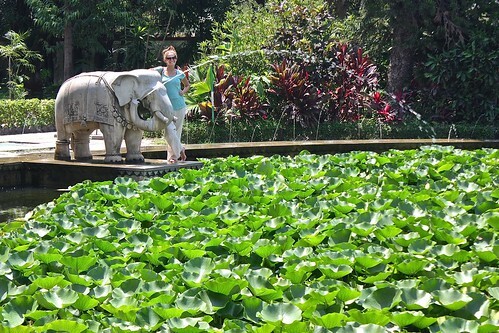 Rickshaw drivers are readily available and necessary to get anywhere outside the city, such as the Garden of Maidens. Never pay over 100INR one way. We arrived via private transfer from Jaisalmer and left by night train to Delhi. 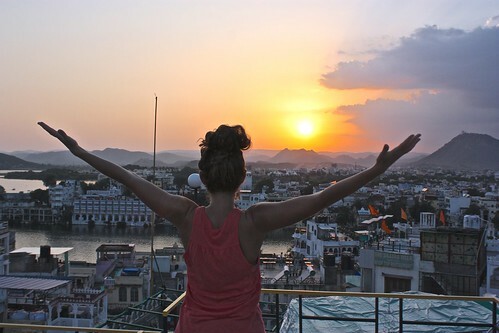 Interested in seeing Udaipur and Lake Pichola without paying for a plane ticket? 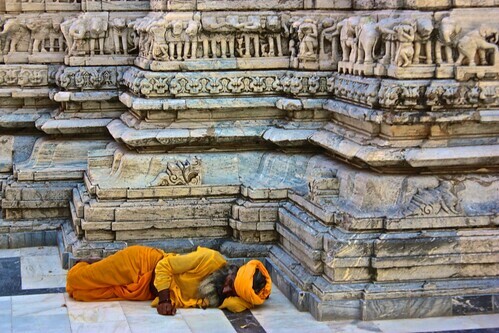 Check out our Udaipur photo tour. 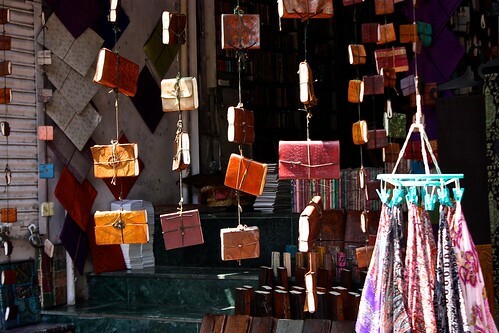 You can also share your tips for budget travel in Udaipur by leaving a comment!